The Barclay Hocketts, a Quaker family, moved to this area in 1882 from Indiana. The family included five children, one of which was Henry Arthur (“Art”). 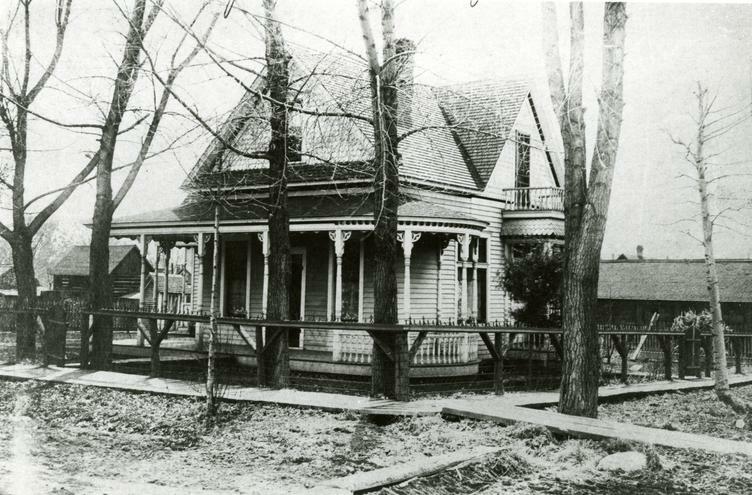 Art returned to his childhood home in Cedarville, Kansas to marry Mary E. Baldwin in 1887. Art Hockett became a successful rancher and civic leader in Eagle. He served as a member of the first Town of Eagle Board of Trustees in 1905. Art and Mary built this lovely Victorian home in the early 1900s. Art Hockett was killed in a wagon accident in 1915 in the Castle Peak country near his ranch house. After his death, Mary was married to W. T. Hart and they lived in this home until his death in 1927. Many different families lived here after that time, including the Harold Helms family. In recent years, the home was restored to represent its original configuration and architecture.